The AK T5p 2nd Generation, the latest collaboration between renowned German Headphones manufacturer Beyerdynamic and Astell&Kern. 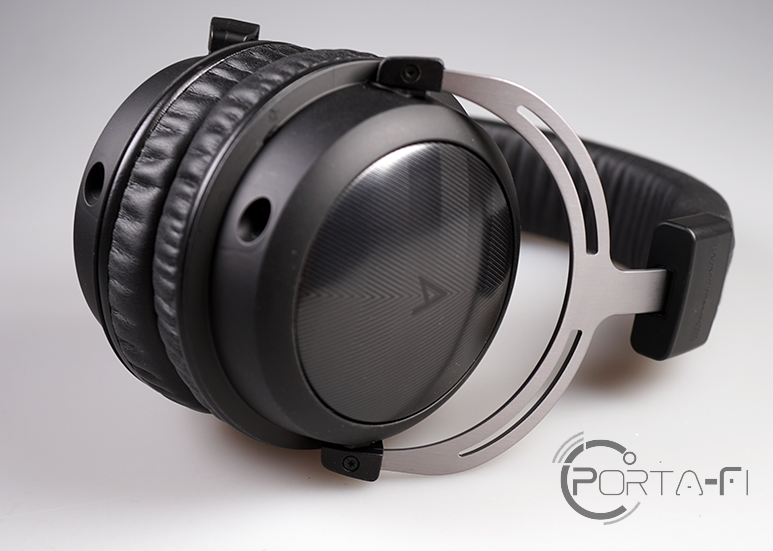 Announced towards the end of 2018, the AK T5p 2nd Gen succeeds the AK T5p which was the first collaboration between Beyerdynamic and Astell&Kern, a relationship that started more than four years ago in January 2015. Within the same year, the collaboration introduced two more products, namely the AK T8iE monitors in August and the AK T1p in November 2015. Limited to a production run of 1,000 units, the AK T5p 2nd Gen is hand-built in Germany. Visually, the headphones retained a styling and design similar to that of its predecessor. Known for their bold design of their high-end Digital Audio Players (DAPs), much was expected from Astell&Kern. However, the only design elements on the headphones are limited to that of the ear cup covers as well as the ear pads and headband. Fortunately, they got both elements right with the ear cup covers providing a sleek minimalist look featuring the company’s logo against a textured background while the choice of premium sheepskin for both earpads and headband added a touch of luxury with an embossed impression of “Astell&Kern” at the centre of the headband that thankfully didn’t look out of place. 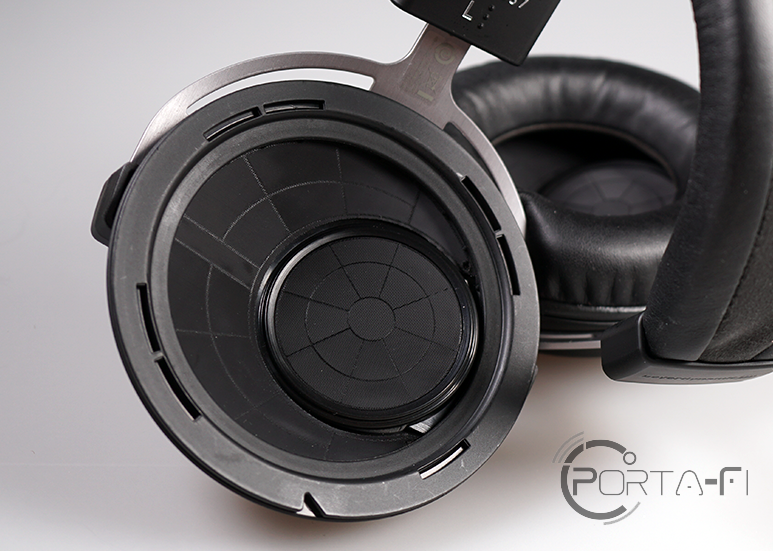 Weighing in at 340g, the closed-backed headphones is 10g lighter than its predecessor. During the review process, I have taken the AK T5p 2nd Gen on public transports and walks in the tropical climate of Singapore on multiple occasions and was left impressed with the level of noise isolation and comfort which allowed me hours of music enjoyment with no signs of fatigue. 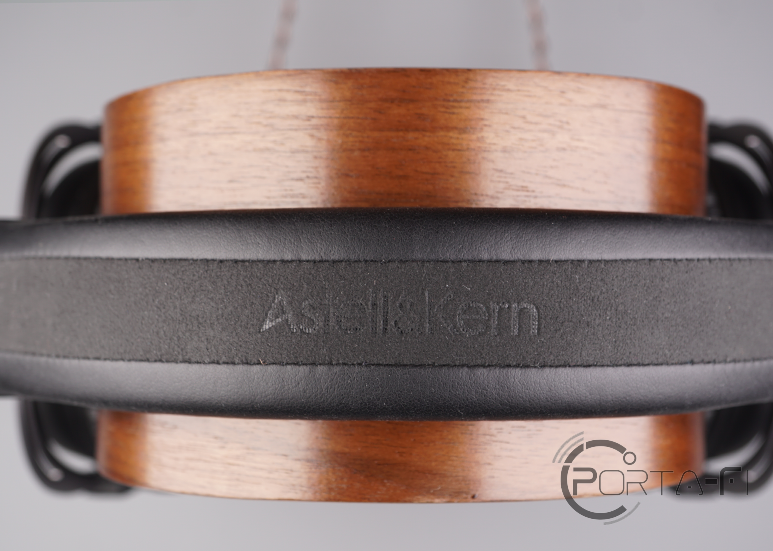 The level of noise isolation and comfort of the AK T5p 2nd Gen is attributable to the fitting of the two soft leather ear cups, the thick leather headband coupled with just the right amount of clamping force. This has allowed the weight of the headphones to be distributed without causing fatigue while allowing flexibility for movements. I first experienced with the AK T5p 2nd Gen on the 6th of November, 2018, when I visited Alex An (Alex) and Eddy Park of iRiver at the iRiver House in Seoul. My first impression was that compared to its predecessor, the AK T5p 2nd Gen was able to bring out the highs the lows better. Alex then highlighted to me that one of the key upgrades was that it now features a detachable cable design, and more importantly it now comes with an audiophile-grade 4N pure silver and 7N OCC Copper hybrid 2.5mm 4-pole cable. “The combination of 4N pure silver with silver plated 7N OCC delivers the high while the 7N OCC delivers the low.”, added Alex. 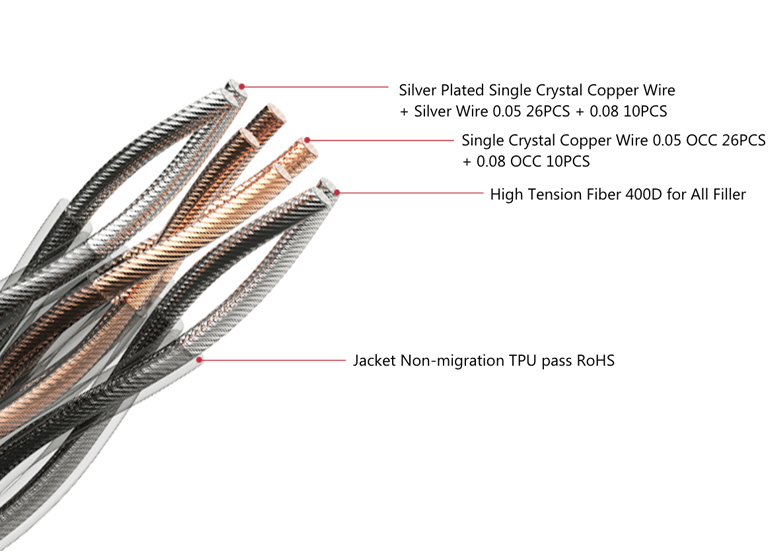 Designed and tuned for the AK T5p 2nd Gen, the headphone cable is an 8-wire configuration comprising of hybrid of 4N pure silver with silver plated 7N OCC and 7N OCC wires, each individually insulated and twisted using Litz construction. Alex further shared with me that while the cable was manufactured by a third-party, it was designed in-house over a period of 2 years and is more challenging than designing a DAP. Aesthetically, the headphone cable indirectly adds a third design element to the headphones, making the AK T5p 2nd Gen arguably Astell&Kern’s best-looking pair of headphones offering. Sporting the same Tesla transducers found in its predecessor, the same off-axis, 45mm angled drivers are also found in Beyerdynamic’s other Flagship, the T1p. The acoustic transducer’s ability to achieve a magnetic flux density of more than one Tesla is why Beyerdynamic used the term Tesla for this series of transducers. Magnetic flux density is important for headphones as it indicates the intensity of the magnetic field (magnetic field strength) in the air gap of the magnetic circuit, a higher density allows the transducers to be higher-efficiency. 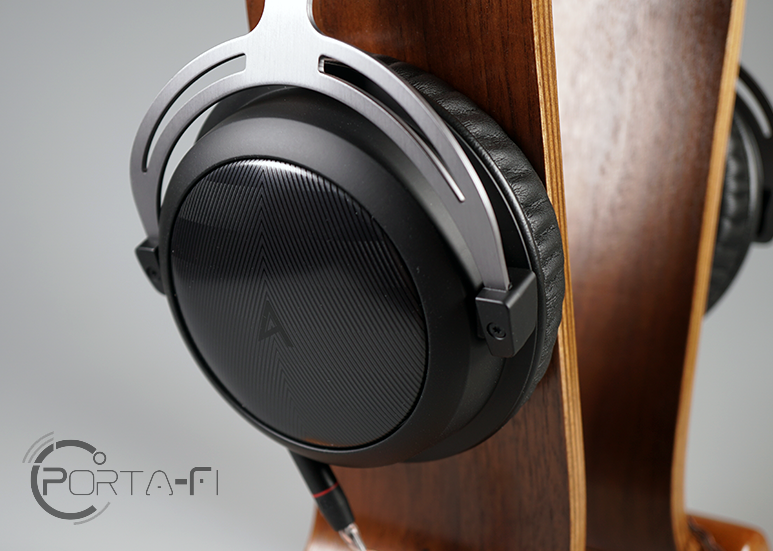 With a low impedance of 32Ω, the AK T5p 2nd Gen is intended for portable usage and rightfully so since the AK T5p 2nd Gen is tuned specifically for Astell & Kern’s DAPs. 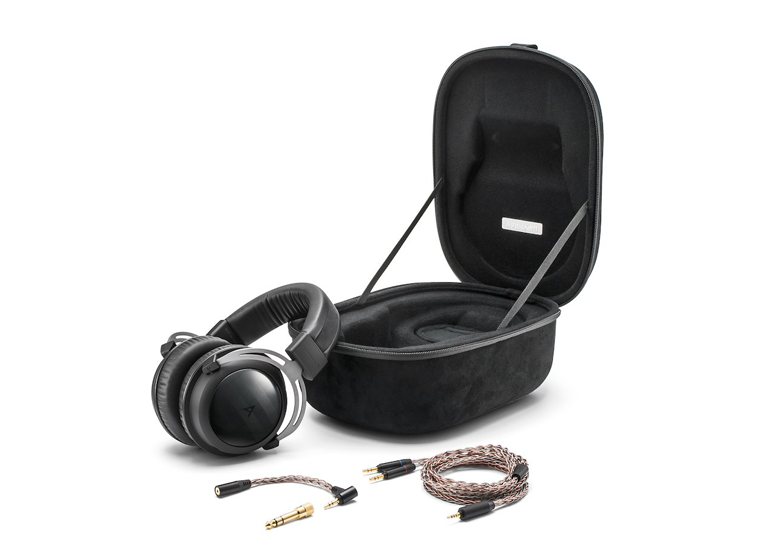 Included in the box together with the AK T5p 2nd Gen headphones is a 1.4m detachable hybrid of 4N pure silver with silver plated 7N OCC and 7N OCC 2.5mm 4-pole cable, a matching 2.5mm to 3.5mm adapter, a carrying case and a quarter-inch connection adaptor.